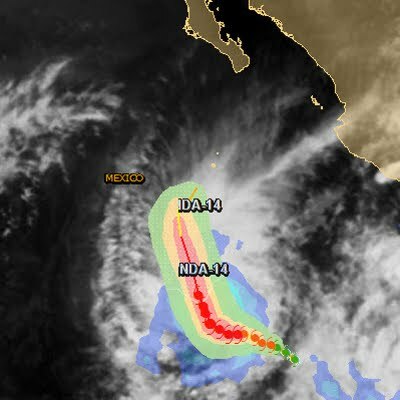 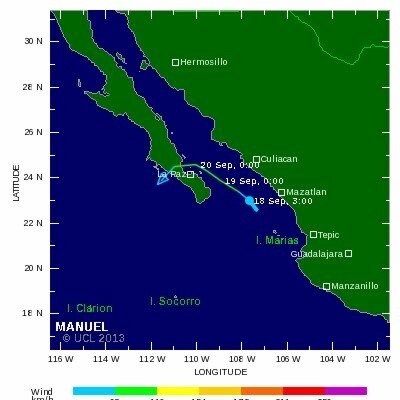 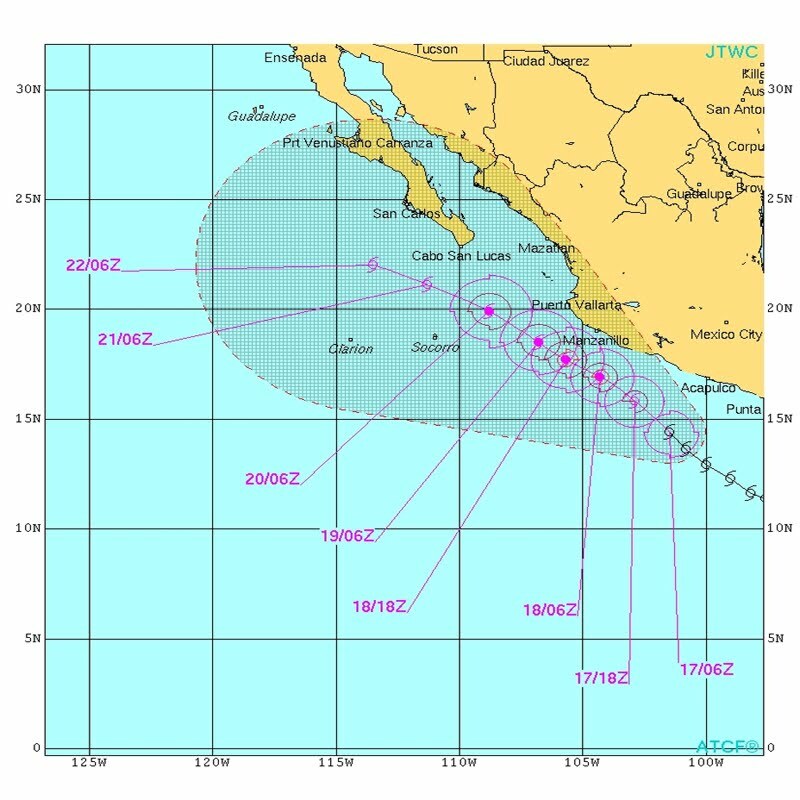 Hurricane Amanda unexpectedly re-strengthens in the Pacific off Mexico's coast way south of Baja Hurricane Amanda unexpectedly re-strengthens in the Pacific off Mexico's coast. 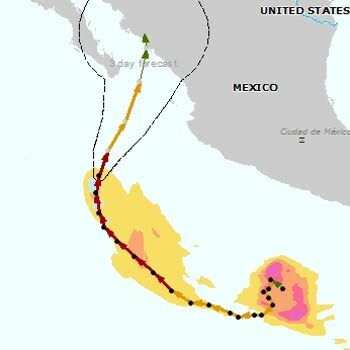 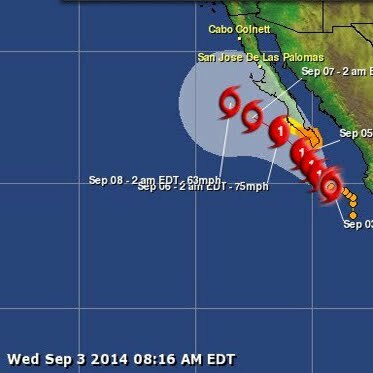 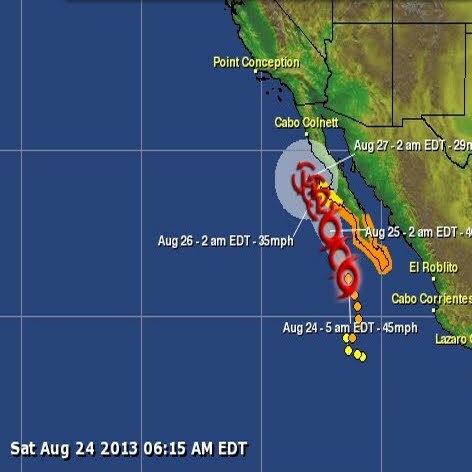 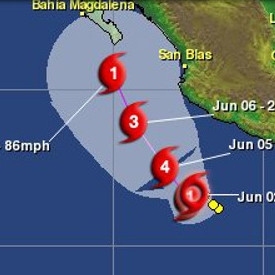 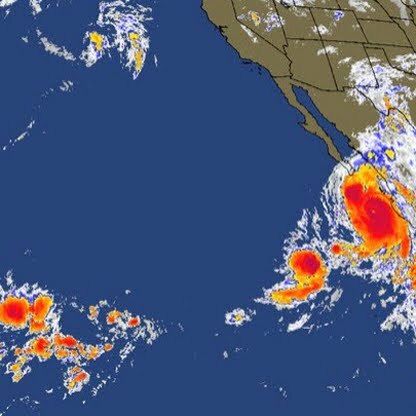 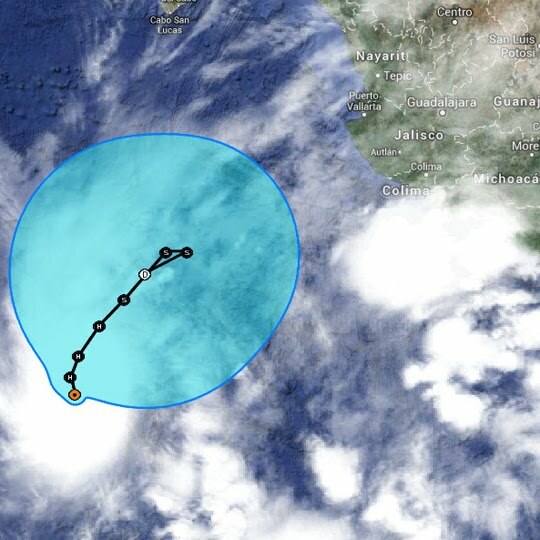 Hurricane Amanda has unexpectedly regained some strength far off Mexico's Pacific coast but is not a threat to land. 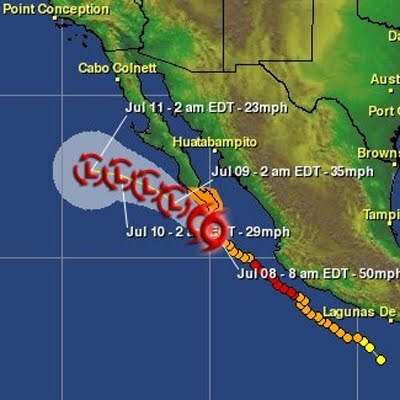 The hurricane's maximum sustained winds early Tuesday had increased to near 125 mph (205 km/h), making it a Category 3 storm. 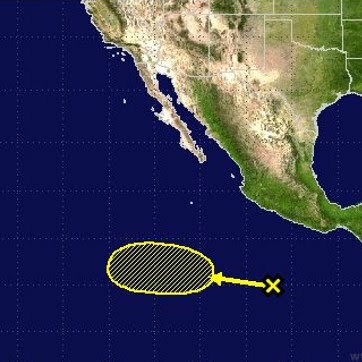 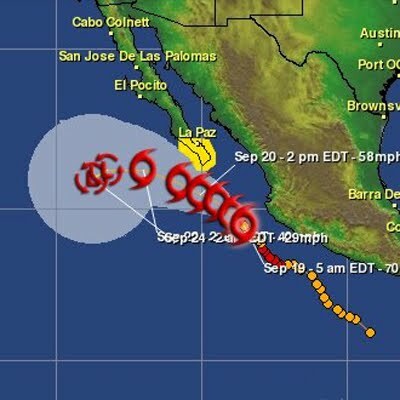 But the U.S. National Hurricane Center says weakening is expected to resume and Amanda should become a tropical storm by late Wednesday. 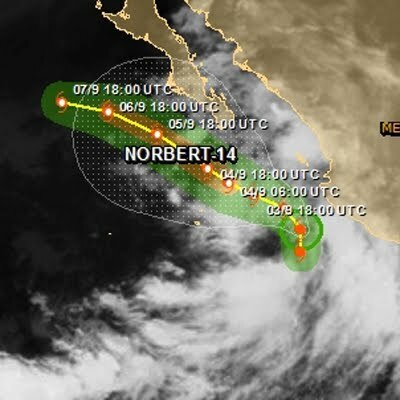 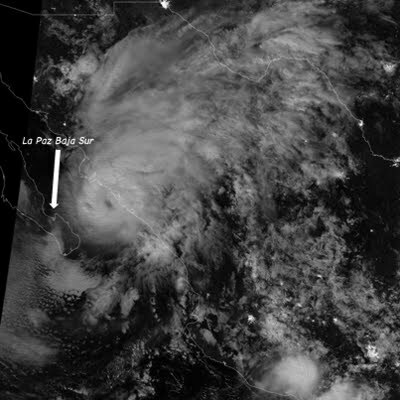 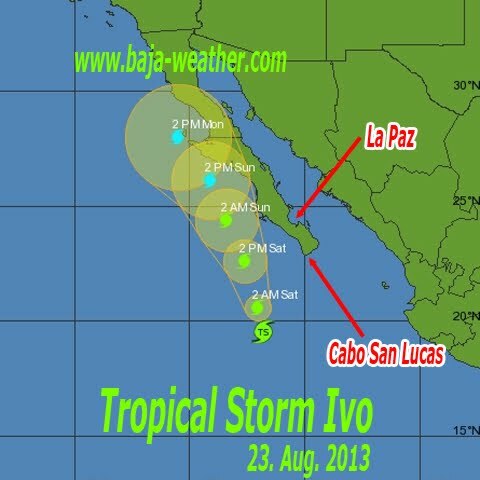 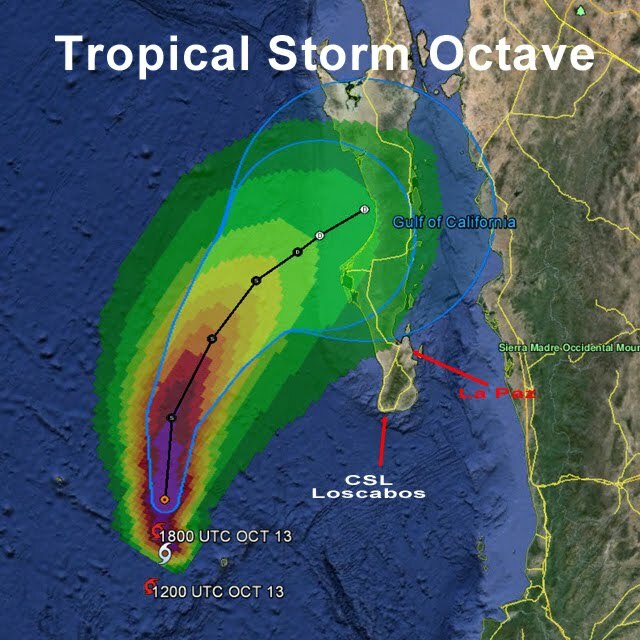 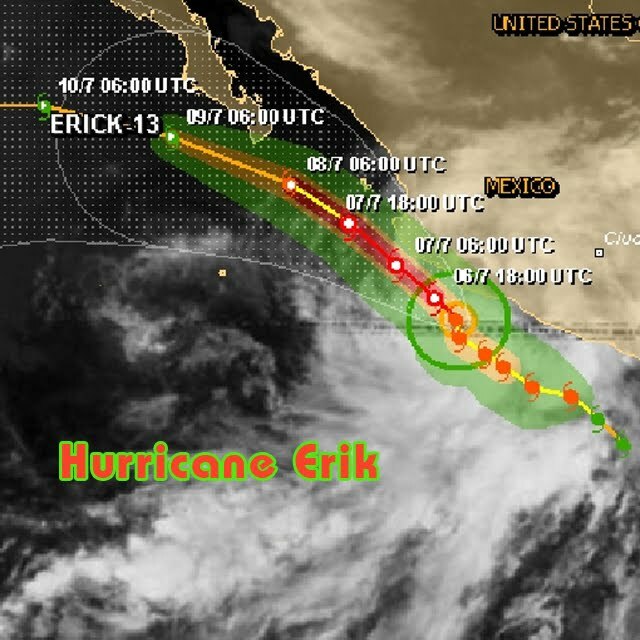 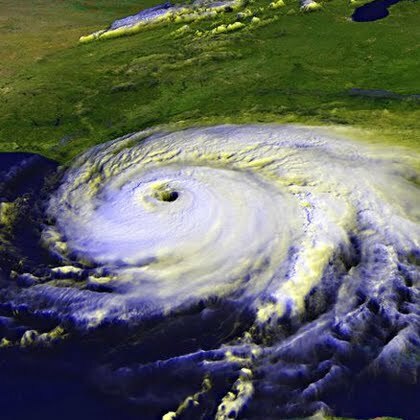 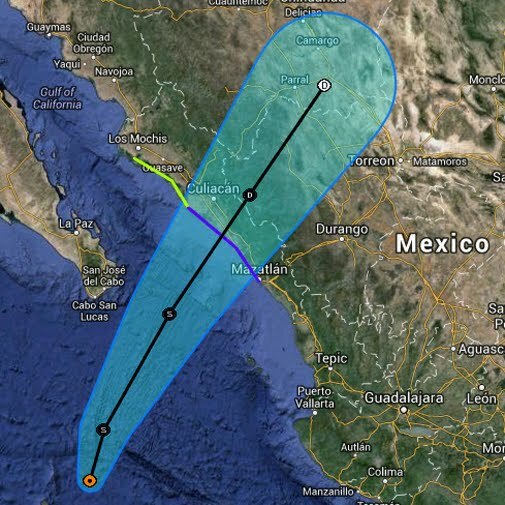 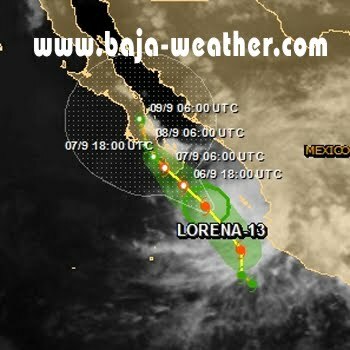 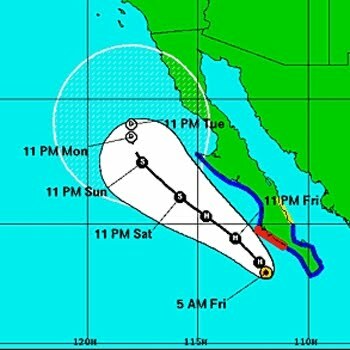 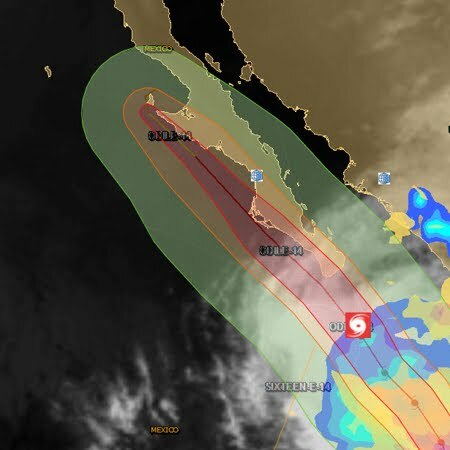 The hurricane is centered about 620 miles (995 kilometers) south-southwest of the southern tip of Mexico's Baja California peninsula and is moving north-northwest near 5 mph (7 km/h). 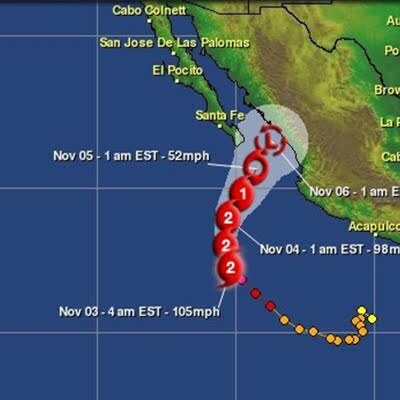 There are no coastal watches or warnings in effect.